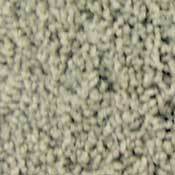 Carpet Odor and Spot Remover is designed to be used with Stainmaster Carpet Cushion featuring Odor Guard technology. With Stainmaster carpet cushion blocking moisture from seeping in to your pad and subfloor, you can effectively remove odors and spots from your carpet. Carpet Odor and Spot Remover's technology works naturally on common stains, activating the system's powerful enzymatic cleaning action. Removes odors and stains from urine, feces, blood, dirt and grass. Carpet Odor and Spot Remover is also effective on common household stains caused by most food and beverage spills. Works on both new and old problem areas. Safe to use as directed around children and pets. The complete two-part system includes Carpet Odor and Spot Remover and Stainmaster carpet cushion. 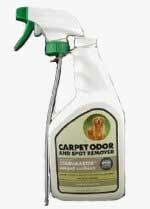 Used alone, Carpet Odor and Spot Remover works as a topical odor and stain remover. 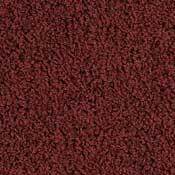 When used with Stainmaster Carpet Pad, the system provides a complete odor and stain prevention system. Stainmaster carpet cushion featuring Odor Guard technology has a moisture barrier that prevents spills from saturating the cushion and damaging the subfloor. Powerful odor-fighting enzymes eliminate odors caused by spills that penetrate the carpet. Treat stains promptly to ensure best results. 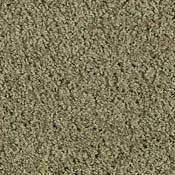 Prior to use on surfaces other than wall-to-wall carpet, test for colorfastness by applying a small amount to an inconspicuous area. Shake bottle well. Remove any excess solid or liquid waste with a towel. 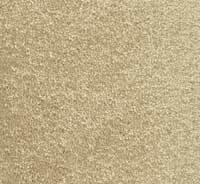 Saturate the problem area with Carpet Odor and Spot Remover to reach the entire spill on the carpet. Wait 10 minutes for enzymatic action. Blot excess liquid with a clean white cloth or paper towel to remove the stain. 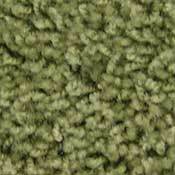 For total odor elimination, resaturate the carpet and allow it to air dry. When the area is completely dry, residual odor will disappear. If the area is dry but the odor still persists, the product did not reach the source of the odor. Identify the origin of the odor and repeat the processes. Make certain to use enough solution to penetrate the affected area. Carpet Cleaning Machines: Pretreat heavily soiled areas using the above directions. Add 8 to 16 fl.oz. 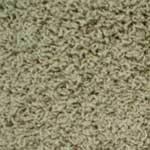 of Carpet Odor and Spot Remover to one gallon of shampoo/water mix to enhance the cleaning power. *Excluding cotton carpets or those treated with anti-microbials.